We can debate what the weather “might” do….but there can be no debate about what it has “already done” the first month of the cool season of winter 2015/2016 at many NWS stations in the USA. After a chilly night tonight (lows in 40’s in MCB areas)….not a single low below even 50 F is forecast until next Friday night. 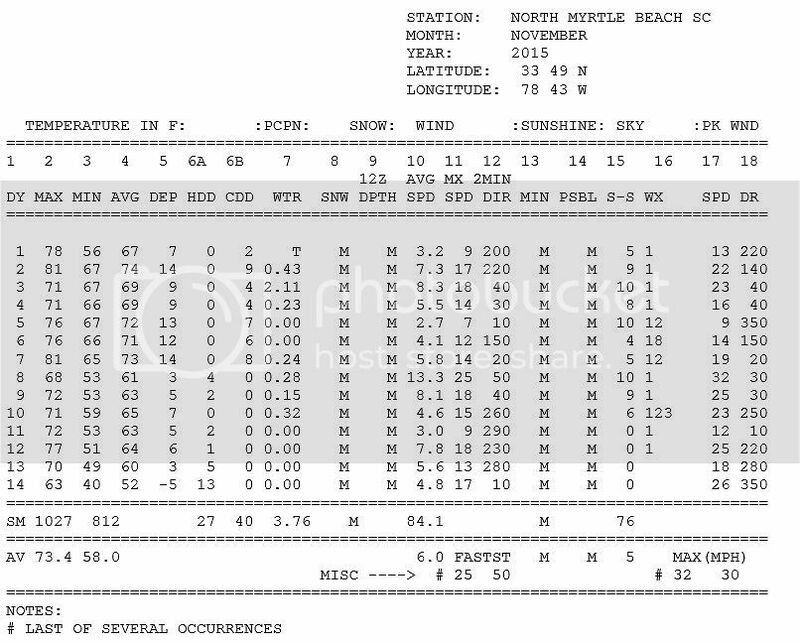 At this point Dennis….I can’t see how Myrtle Beach (along with many other NWS stations in the central and eastern USA) ends November 2015 not well above normal. I think you’re going to see many hot days and nights right into mid December this year Dennis.